lately i’ve been craving space. 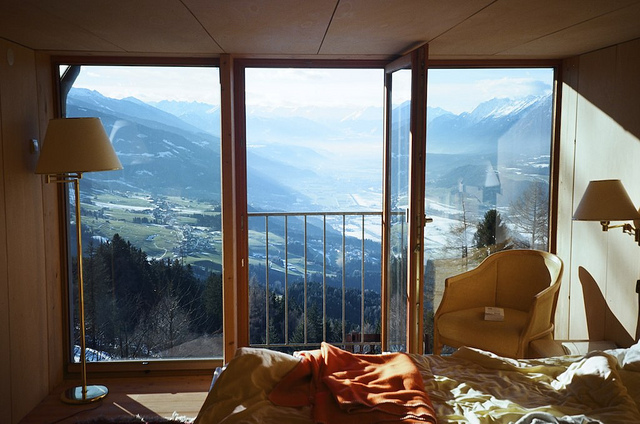 solitude. a sense of stillness. ideally, i want to be next to or close to a river. and not just any river, but a typical new zealand river. one with large flat rocks that you can lie on as the sun filters through the branches of trees overhead. with the only sounds being the nearby waterfall, and the bird calls. the kind of river that you can rest your limbs in even though it’s ice cold because it’s so refreshing. until i find that perfect river, i’m curious to try out this place. if you happen to know of a place that isn’t ON THE OTHER SIDE OF THE WORLD, that might fit the bill of what i’m looking for, please send me info. on friday i was road-tripping with the one and only ashtastic, who wrote about our adventure here. we were on the way to morro bay to see our beloved holley seals, and we happened to make a little detour to the madonna inn. and that’s where we basically lost.our.minds. 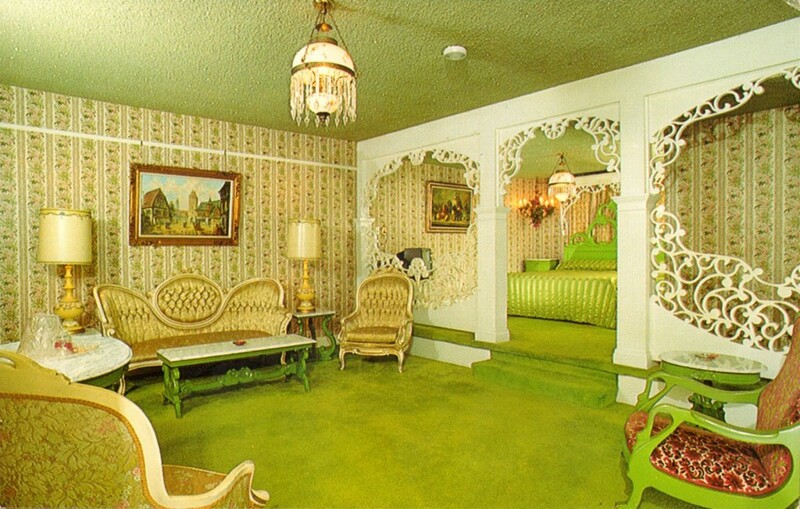 i don’t know if it was the multi-colored patterned carpet, or the gilded mirrors, or the doll that was swinging from the ceiling, or the giant silk pink roses, but this place is like kitsch on crack. and somehow, that makes it fantastic. i mean, yes, super gaudy and over-the-top, but in the most brilliant way. the amount of effort that has gone into this place is evident as everywhere you look there is something whimsical to see. 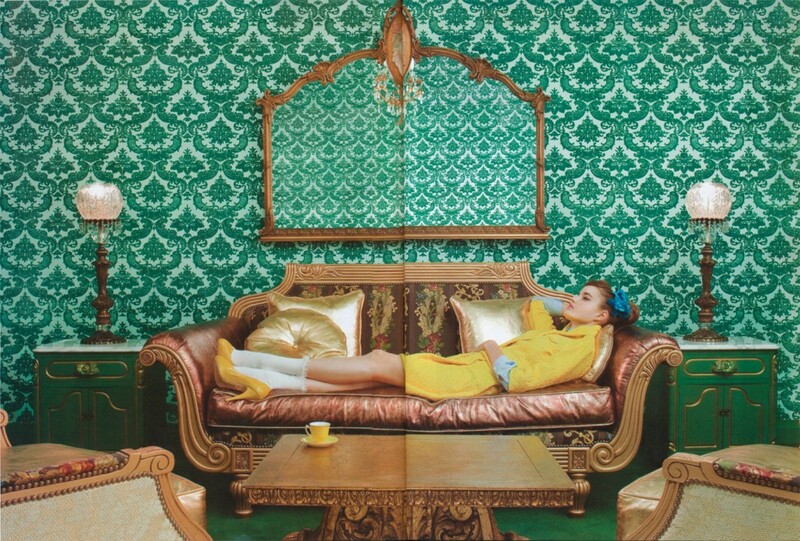 they also boast 109 rooms, each decorated according to a particular theme. and yes, this is me absurdly posing in front of the hotel’s sign. sigh. if only i’d had a real camera with me to capture the hot pinkness of it all. on saturday night we attended a dear friend’s wedding which was everything you want a wedding to be. which in reality, actually comes down to one thing: that the love between the bride and groom is so abundant that it is felt in every atom of the air. that’s the secret to the very best weddings. as we sat listening to the writings and prayers about marriage i squeezed dev’s hand tightly. to be in a partnership that is whole, complete and constantly improving is something i hope to never take for granted. I know exactly what you mean, it is refreshing to find your own little oasis where your mind can be free. I actually live near Malibu Creek state park. There is a Hindu temp nearby & also the infamous M.A.S.H. site within the park. wtf. 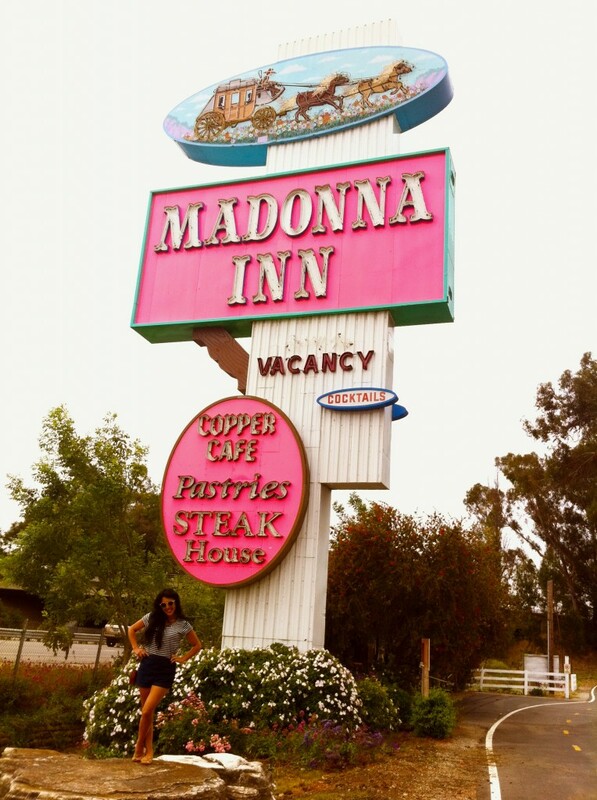 the madonna inn just became my new happy place.